World Emblem is EXTREMELY COMMITTED to Its Customers! “How did this happen?” That was the tagline on the homepage of the CNN website for two days starting January 29th, 2014 as two inches of snow paralyzed Atlanta, Georgia and the surrounding areas. As soon as the severity of the situation in Atlanta became clear, World Emblem’s team catapulted into action to ensure every order made it out on time. It all came down to good decision-making and an amazing commitment by our World Emblem team. Orders were redirected from our Atlanta location and moved to locations that were operational in California, Mexico, Nevada, Illinois and Florida. Team members from these locations worked together to handle the overflow of orders from our Atlanta location which is World Emblem’s largest production facility in the United States. Our Florida team made the decision to put all Florida orders on hold; not because we don’t love our neighboring clients, but because we had the ability to make special arrangements with carriers and couriers to get the orders to them on time even if that meant delivering them ourselves. Our team in Florida was not only able to handle the orders from Atlanta, but was also able to get every Florida order out the door and onto the carrier’s trucks before the cut off time. Our amazing operators worked overtime from 10am until midnight to make sure that our clients’ needs were met. Those orders were then delivered to the airport and put on white-glove service to arrive at several cities. We then had couriers pick up the orders from Orlando, Tampa and Jacksonville and deliver the orders to the clients’ doors before 10:30 am. This is a remarkable feat as Atlanta is our largest facility in the United States. We called clients to let them know to expect delays but in fact, there were none. Our teams worked tirelessly so that the impact of this disruption was not felt by our clients. 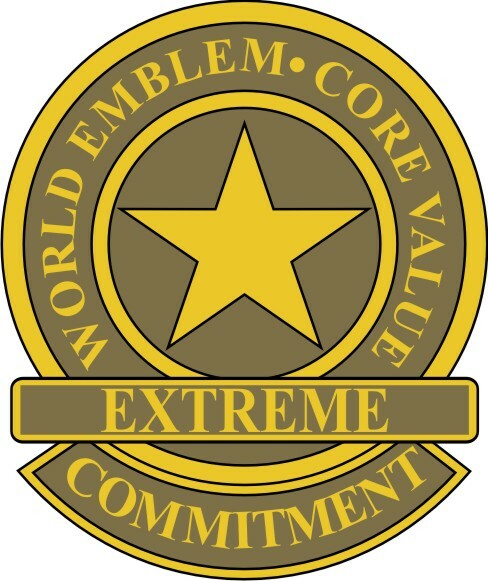 It is just another way that World Emblem is willing to prove to our clients that our core value of Extreme Commitment is alive, well and stronger than ever!